This is a fantastic, on-going series of books published yearly by the Canadian Wood Council. The books are roughly 8½" x 8½" in size, which makes them perfect to hold and read. The first couple of years, the volumes were soft covers, roughly ½" thick with black & white photographs. More recently, they've gone to a full-color, hard cover format that is closer to an inch in thickness. The prose is concise and unpretentious (a rare thing with art & architecture books!) and clearly laid out with an equal balance of text and photographs to illustrate each project. 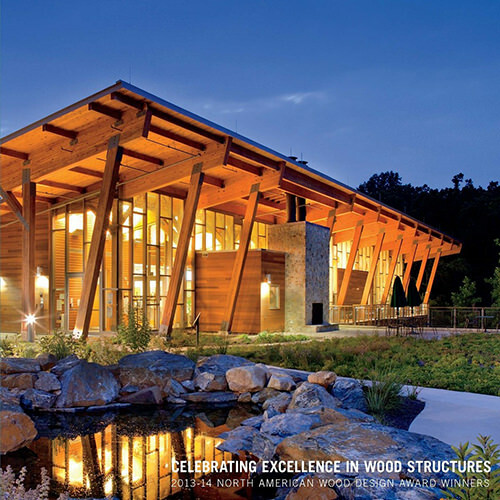 As you might expect, the selected projects in each book have been chosen based on their innovative use of wood - be it exterior, interior, structural, finishes, detailing, etc. The project types within are wide-ranging and include airports, barns, boardwalks, bridges, cabins, chapels, churches, hospitals, houses, libraries, lobbies, lodges, meeting halls, monasteries, museums, park service buildings, parking garages, pavilions, resorts, schools, and many others. 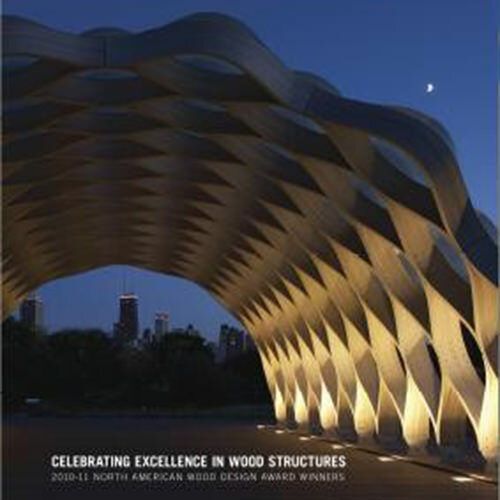 The books are available via the Canadian Wood Council's webstore (Canada | U.S.A.). Unfortunately, only the last ten years or so are still in print, but occasionally you can find the out-of-print titles at amazon.com. However, the first two years are available as free PDF downloads from the Canadian Wood Council (2002 | 2003). 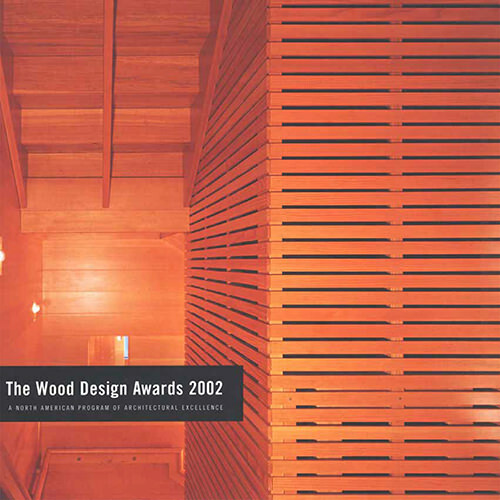 If you have any kind of love of wood design & detailing, you should enjoy these books.